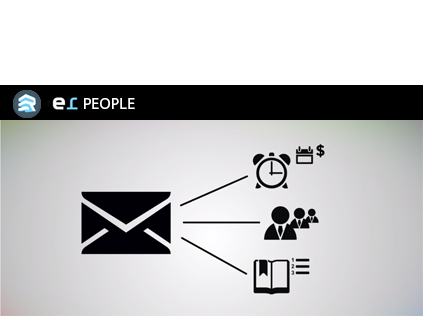 ERPeople is an easy-to-use membership management platform perfect for organizations and associations. With a central database of members and prospects, you can easily track who’s up for renewals, who’s new, who’s going to your events, and who’s giving. This platform also features E-Marketing tools to help you induce prospects to join and participate in your organization. You can use surveys to find out more about the needs of your members and provide extra value with our online resources. Save administrative expenses by getting your members to do the work of keeping their profile up to date. We make it very easy for people to purchase or renew memberships at the time of a meeting registration. Our studies have shown that when you make easy for people to buy memberships during registration an average of 10-20% of the registrants will do so. The EventRebels membership management platform allows for you to create online membership profiles and includes the ability to differentiate between individual and institutional memberships. Members can then update this profile information, renew their memberships, and access any “members only” content or deals. Renewal reminders and invoicing can all be managed through automated emails. Using our membership management platform gives you a continually updated central database for all of your membership data including contact information, donation amounts, registrations and more! You can easily segment that data for whatever reports you may need to put together. Any activity by non-members (like registering for your events) is automatically pooled into a database of prospects that you can reach out to using our built-in e-marketing tools. The ERPeople membership management dashboard features e-marketing communications tools that allow you to send attractive, personalized HTML emails to members and prospects. With the ability to segment membership data, you can highly target your email campaigns. When it’s time for members to renew, reminder emails can be sent out automatically providing the information they need to make their payments. With ERPeople, you also have access to conduct unlimited surveys among your members – providing you with invaluable insights on how you can continually tailor content to your audience. The membership management tool from EventRebels is full of features that make membership information organized and accessible. You can create an online directory, view membership profiles, event calendars, and advanced search functions like searching for “paid members.” Contact EventRebels today to schedule a free online demonstration!